V0184. 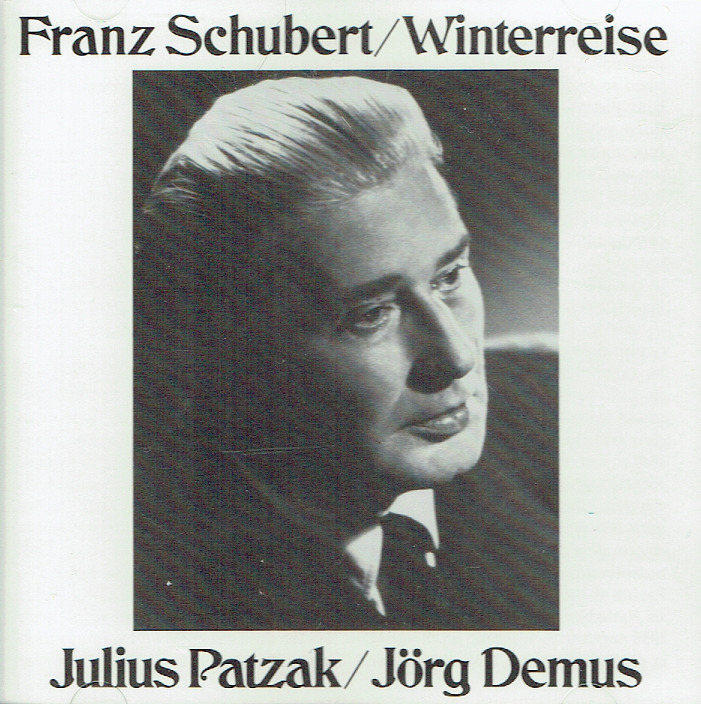 JULIUS PATZAK, w.JÖRG DEMUS (Pf. 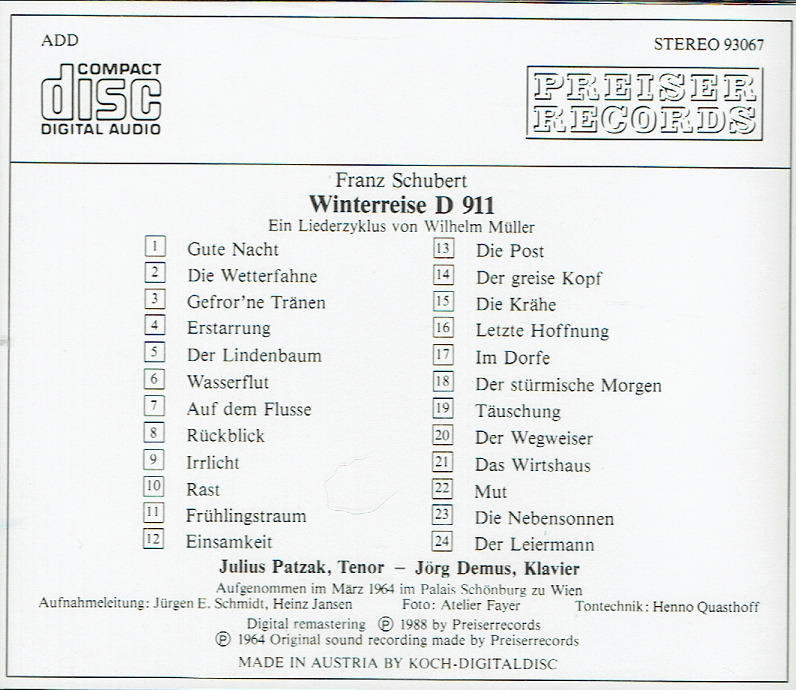 ): WINTERREISE (Schubert). (Austria) Preiser Stereo 93067, recorded 1964, Vienna. Final Copy! "[The above] celebrates the centenary of Julius Patzak….a praiseworthy tribute to that most artful of all recorded Austrian tenors….one hears his unique plangent voice, one neither large nor sensuous but always firm, getting to the heart of whatever text he happens to be singing….And that voice was guided by exemplary musicianship and an intelligence that produced deeply expressive phrasing and an unfailing sense of continuity."